We are SO excited that the live class for February 6, 2018 was about creating an associate photography program! 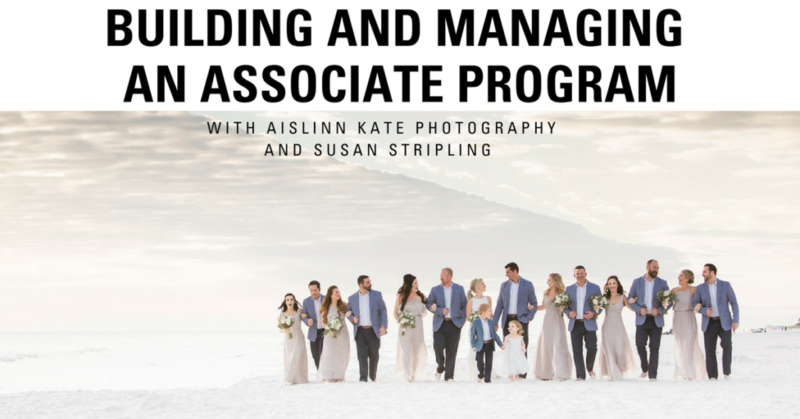 This excellent course from Aislinn Kate Photography answered all of the questions that photographers in our Facebook group have been asking for years! Aislinn will give viewers concrete, precise examples from her own studio (including the things that have worked well, and the things that have not). She will also offer strong, actionable ideas for building a creating an associate photography program in this way. At the conclusion of the live broadcast, attendees will be fully equipped with a complete toolkit for beginning and maintaining a thriving associate photography program. Members of The Wedding School can view the course right here!